And we’re back. It’s been a busy few months and although it was not really planned, I took a break from writing to catch up/focus on myself and our home. Since I last posted, BJ and I started a new workout routine, we started eating a healthier, more organic diet, and we also completed a few projects around the house. To kick off our new series of posts, I first want to start by mentioning that we will be adding some new material to Frame By Frame Style. With our new organic eating, I also purchased a juicer and I will share a few of our recipes for delicious juices and other treats we are making. I also plan to share tips and tricks and resources for eating organic. I’m not an expert by any means, so as I learn new tips, I will share them with you. You can also check out my Pinterest board A Cleaner, Greener and Leaner Living for pins on healthy eating and living. 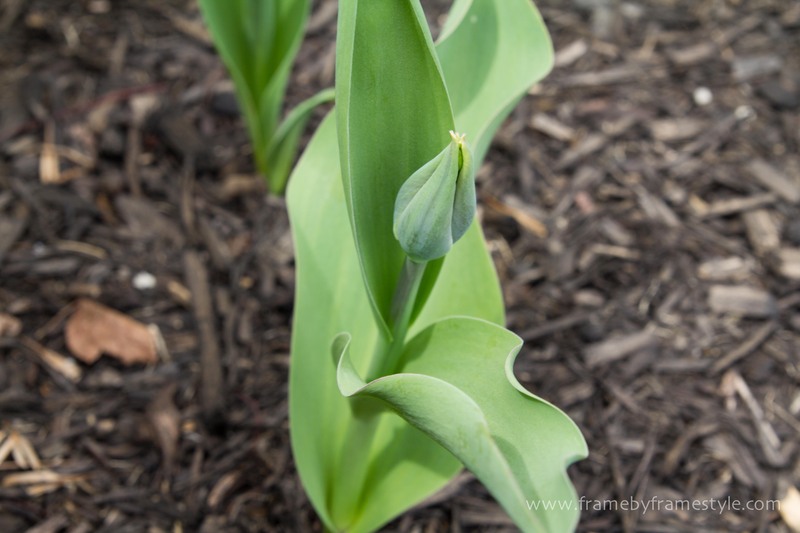 Before we dive into the healthy eating and living posts, I have an update on our flower bulb planting last year. 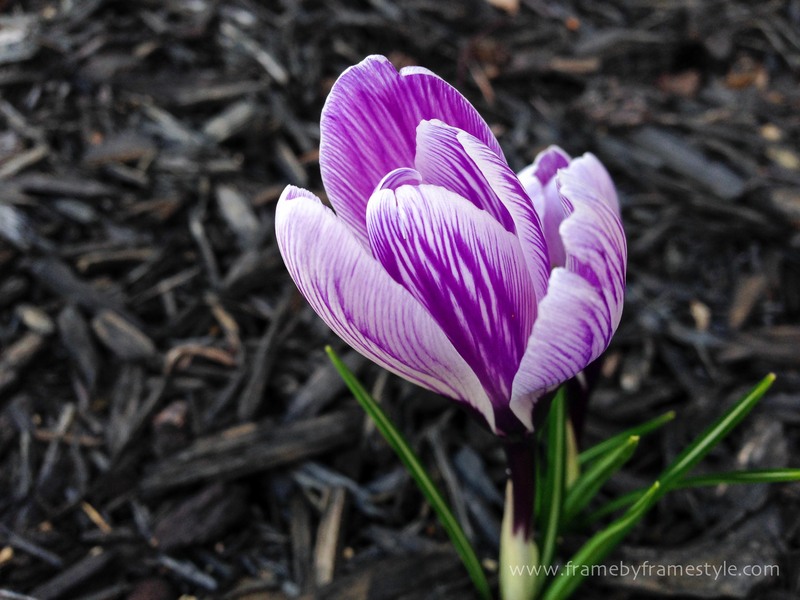 In the fall, BJ and I planted around 150 tulip and crocus bulbs in our front yard garden beds. Now, six months later, the flowers are blooming! 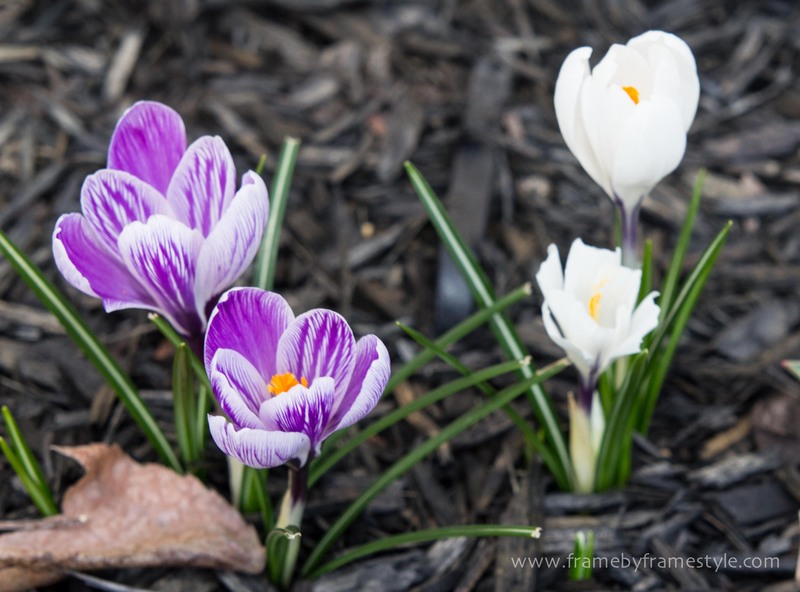 First, at the beginning of April the crocuses (or croci) came up and bloomed. 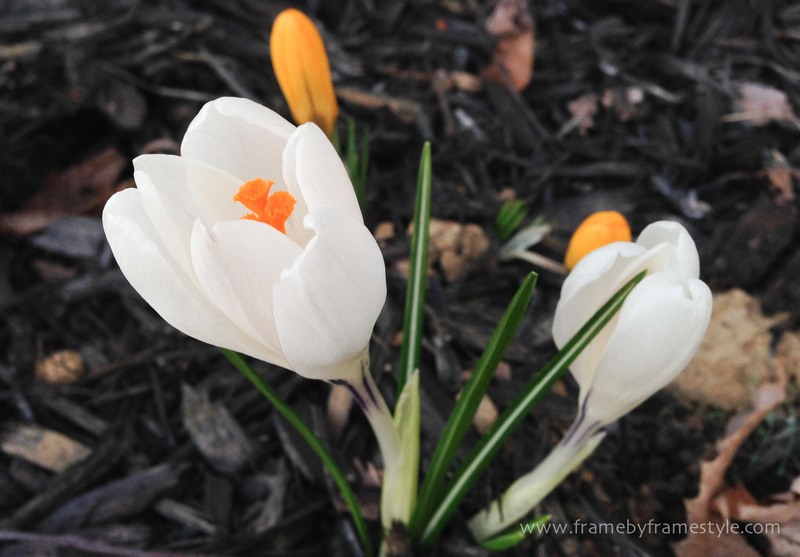 We planted purple, white and yellow crocuses and saw all three colors bloom. 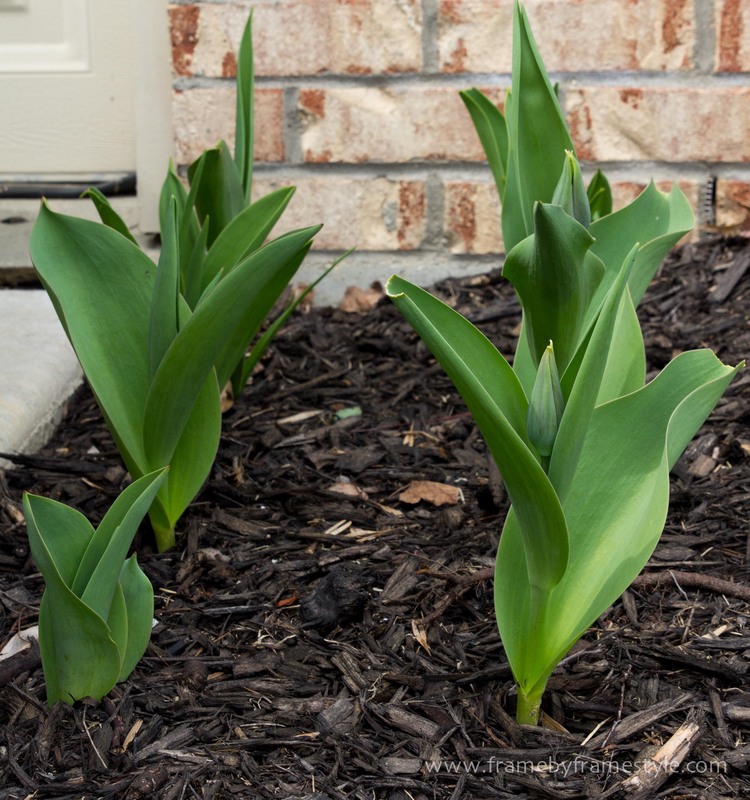 The crocuses are gone and now our tulips are coming up in stages. 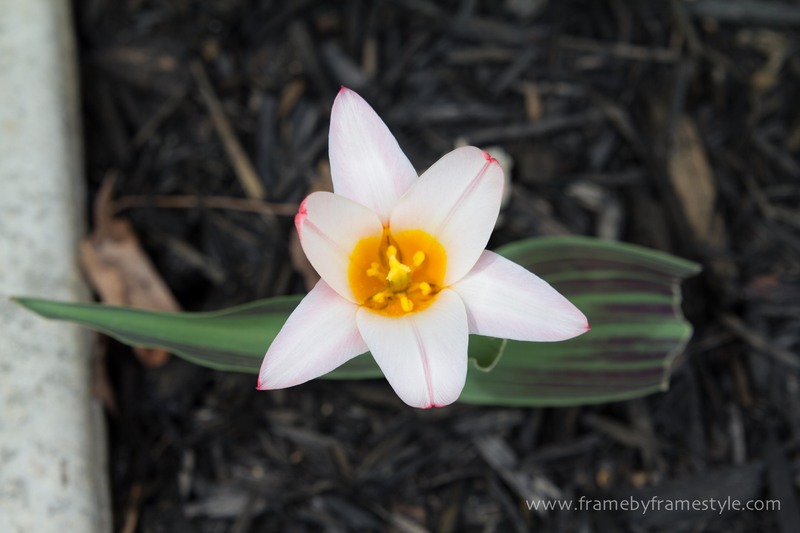 A few are still buds, but we have plenty that are already blooming in time for Easter on Sunday. 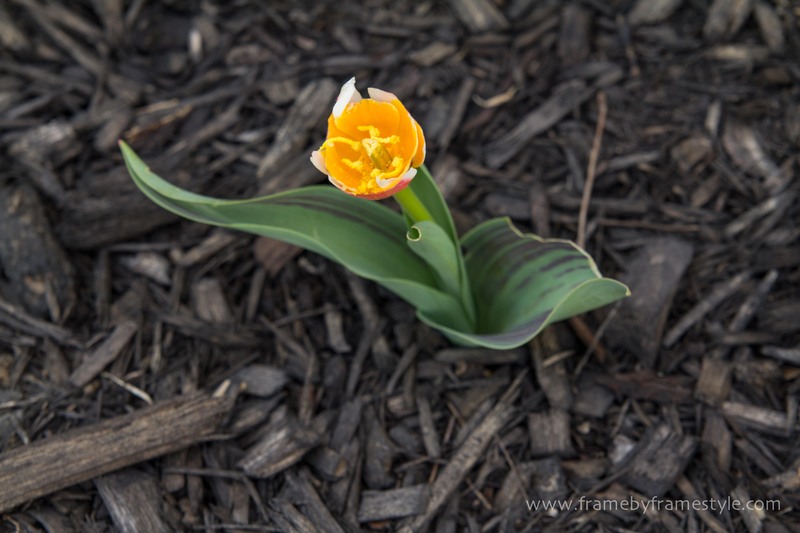 The first to bloom were the lily tulips. 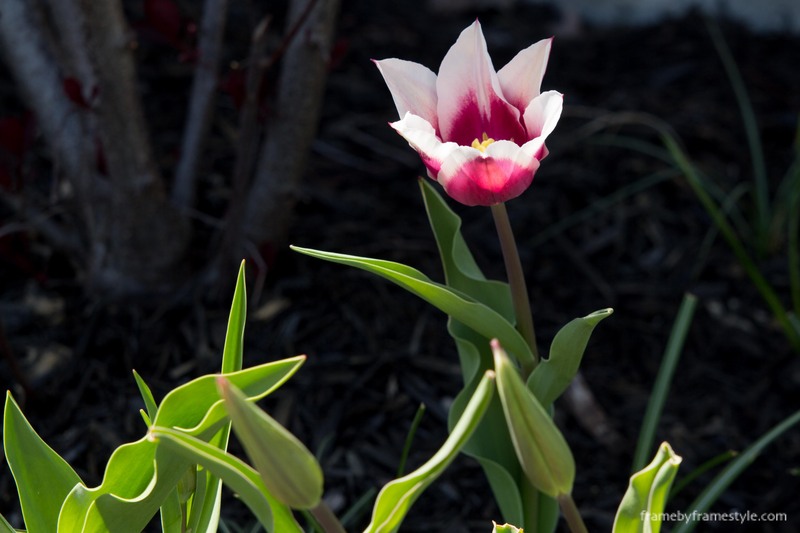 In the evening, they close like regular tulips but during the day when they are in full bloom they open to look more like a lily. 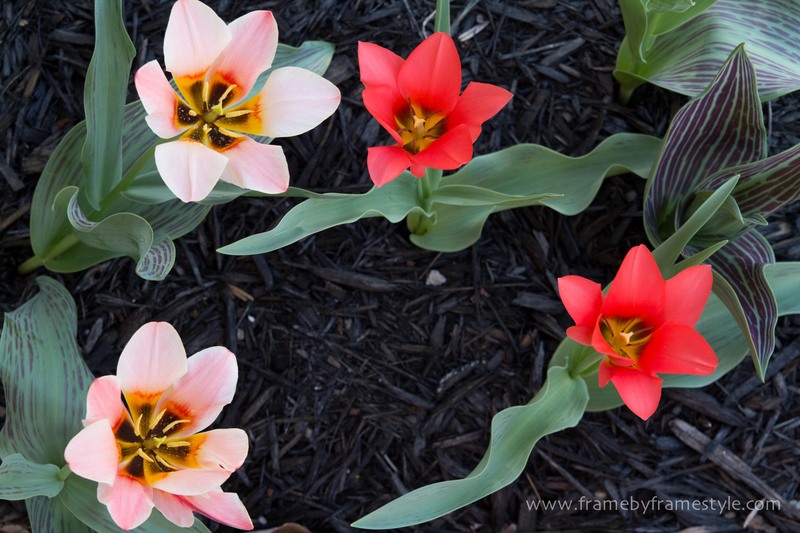 Our lily tulips are blooming in a bright pink, bright orange and a white/pink variety. We also planted Rembrandt tulips. 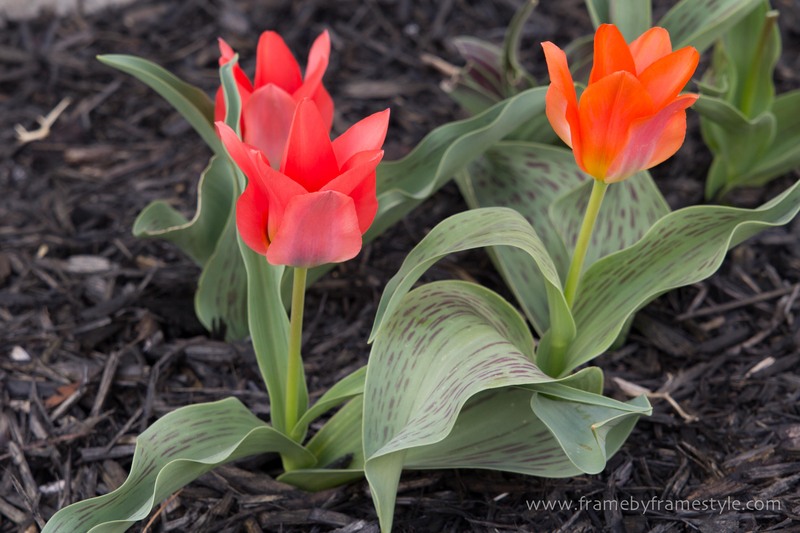 The Rembrandt tulips are very bright and have pointed tips. 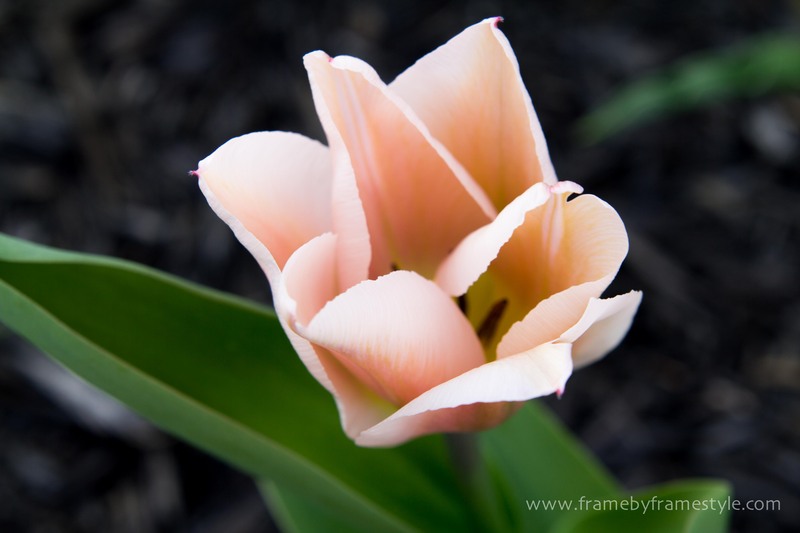 I took many pictures of our tulips and this is my favorite of the tulip pictures I captured. This is a peacock tulip. 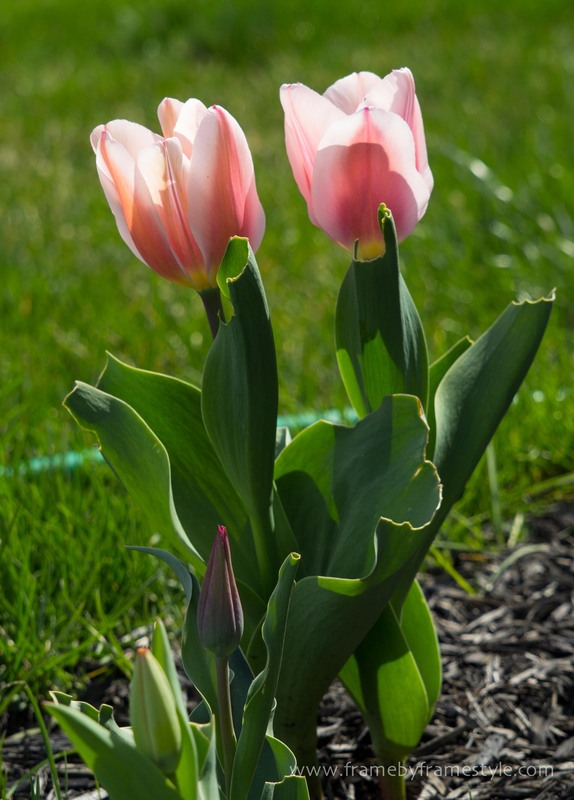 They grow a little taller than the other tulips and have a softer look. 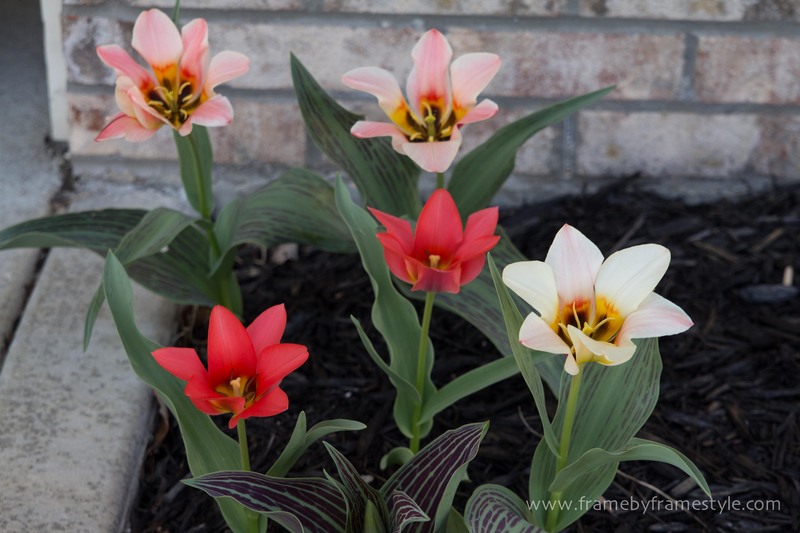 Here is another look at our peacock tulips. 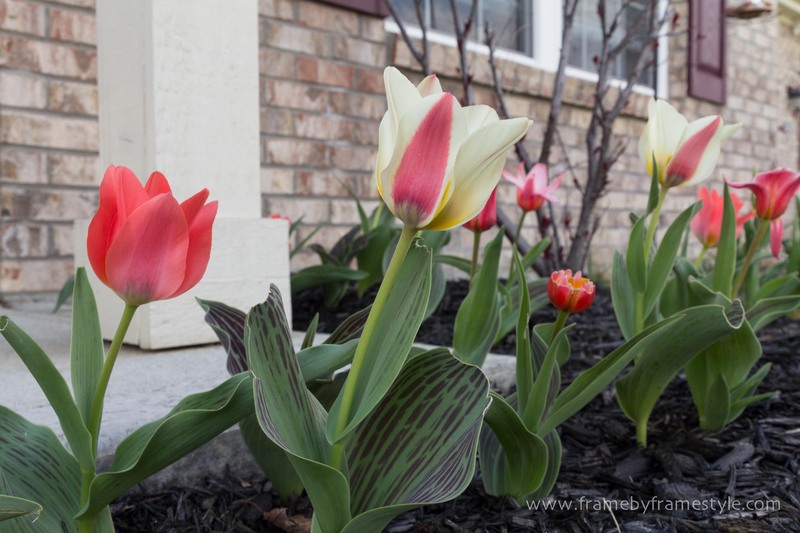 Our tulips are still blooming so look for more pictures to come. I’m really thankful that we are seeing our fall planting come to fruition. It was a harsh winter for most of the United States and the Midwest experienced cold temperatures that were below -15F (-30F wind chill). I wasn’t sure if any of our flowers would make it through the tough winter but they did and I’m so glad! They will be really beautiful for Easter this year. 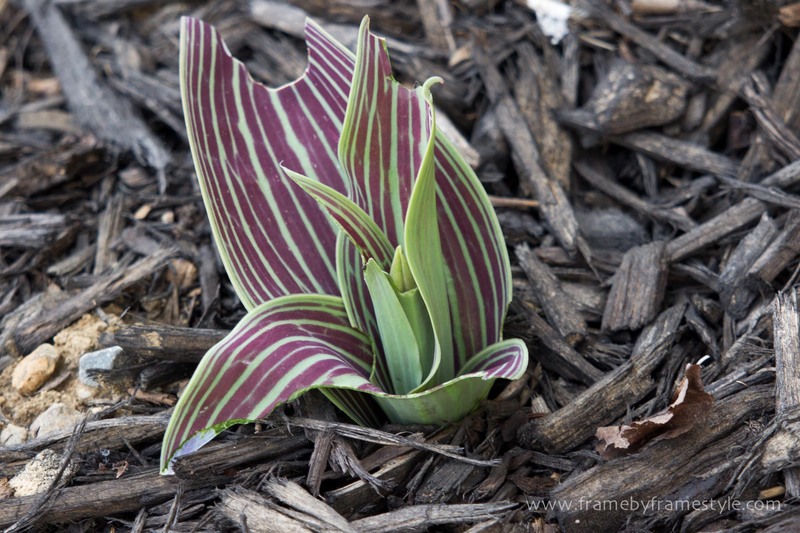 How did your gardens fair through the winter? Along with the success of our planting, we are also experiencing a bit of a rabbit problem. 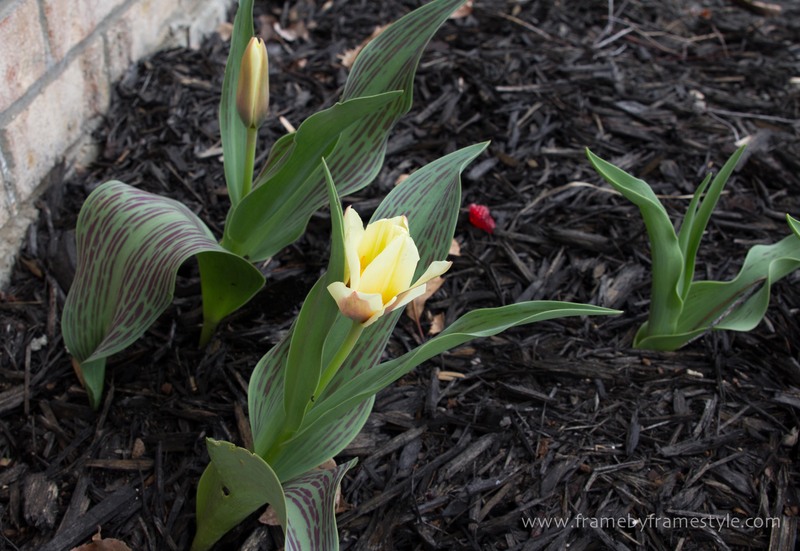 In our side garden, the rabbits have enjoyed our tulips a little more than I would like. Eventually, we would like to elevate our front gardens so I’m hoping that will end our bunny problem in the future. In the meantime, I just have to cross my fingers and hope they find some wild flowers to eat that are not in our yard… or maybe they will eat our dandelions instead. One can hope. 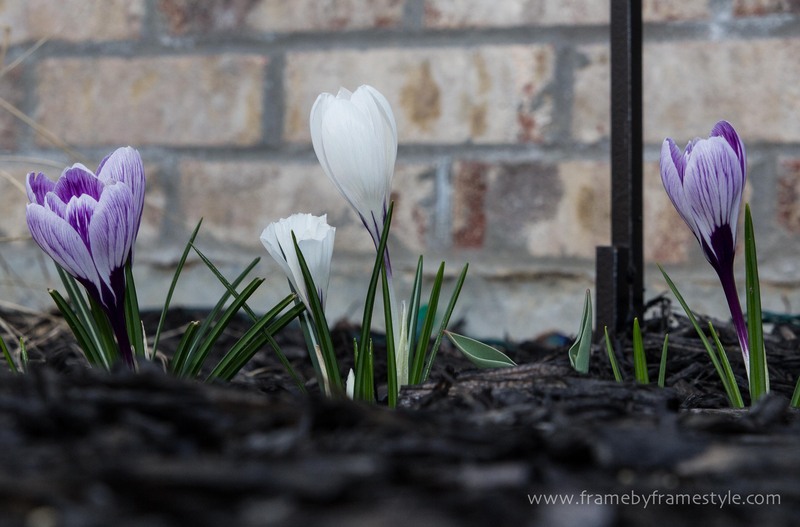 This entry was posted in Gardening, Green Living and tagged crocus, Easter, Flowers, garden, healthy eating, Spring, tulip bulbs, tulips by Frame by Frame Style. Bookmark the permalink.